Jordan Plitt is a litigator and has extensive experience handling complex insurance coverage, professional liability, commercial litigation, and catastrophic personal injury defense matters. Coming from a family with deep roots in the insurance industry, he enjoys helping commercial insurance companies navigate and solve problems or questions quickly, efficiently, and correctly. He has provided insurance coverage analysis and advice to many commercial insurance companies for complex and high-exposure coverage issues across the nation, including Arizona, California, New York, New Jersey, Illinois, Texas, Florida, New Mexico, Colorado, Nevada, Utah, Nebraska, Wisconsin, Ohio, North Carolina, Montana, Alaska, Arkansas, Minnesota, Washington, Michigan, Iowa, Kentucky, Missouri, and North Dakota. A significant portion of Mr. Plitt’s practice involves representing insurance companies in defense of insurance bad faith claims as well. He works hard to protect and advocate for his insurer-clients. Mr. Plitt speaks and writes frequently on insurance law topics and has been recognized by Southwest Super Lawyers as a Rising Star in the field of insurance coverage continuously since 2012. 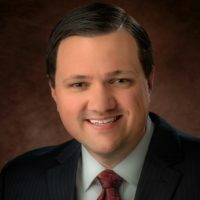 He is one of three associate authors for Couch on Insurance 3d, a nationally recognized authoritative treatise on insurance law often recognized and relied upon by courts and attorneys throughout the United States. He is also a co-author of Practical Tools for Handling Insurance Cases which aims to filter complex insurance coverage issues into an easily readable and digestible format for attorneys across the country. Every year, Mr. Plitt, as co-chair, helps organize and develop the content for the Arizona Insurance Law Institute, a two day continuing legal education seminar put on by the State Bar of Arizona covering complex insurance issues. In addition to insurance coverage litigation, a significant portion of Mr. Plitt’s practice also includes professional liability and commercial litigation defense. He represents and defends attorneys, accountants, architects and engineers, insurance producers, and other professionals in high-exposure cases vigorously. He also has experience defending high risk products liability cases, including cases involving asbestos exposure. Obtained summary judgment for insurance carrier finding no coverage under successive commercial general liability policies for claims involving allegedly defective auxiliary power units the Insured manufactured for installation on semi-trailer trucks to operate climate control and other functions, holding that claim did not involve an “occurrence” caused by “property damage”. Obtained summary judgment for insurance carrier finding no coverage for general contractor’s additional insured tender and subcontractor’s tender of its defense and indemnity for alleged construction defect claims under successive commercial general liability policies because there was no “property damage” caused by an “occurrence”. Obtained withdrawal of additional insured tender from steel erecting company prior to filing declaratory judgment action on behalf of insurance carrier under motor carrier coverage for catastrophic injuries sustained by plaintiff while unloading a trailer. Obtained summary judgment for homeowners’ association finding association did not breach its contract with homeowner regarding land dispute for purported setback violations. Four attorneys were named as 2016 Rising Stars by Southwest Super Lawyers. Justin Niedzialek was named in the Employment Litigation: Defense category; and Steven Gross, Jordan Plitt and John Wittwer were selected in the Insurance Coverage category. Respected Southwest boutique firm joins forces with The Cavanagh Law Firm, a full-service regional law firm.